Just a 30-minute drive from Ubud, further into the northern depths of Gianyar, sits a humble village where green dominates the landscape. The little village of Taro is one of the few places where the original Balinese still live. Here, an enormous space is transformed into a beautiful elephant sanctuary, where palm trees grow strong and tall, providing shade for the gentle pachyderms. 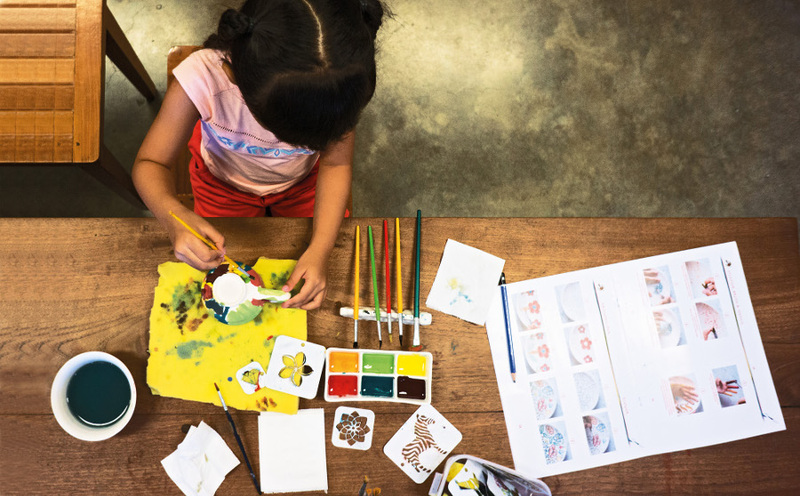 The Taro Elephant Park is a ‘must visit’ for anyone in Bali; a place to keep your children entertained, and also a place to make some fantastic holiday memories. Educational and interactive, this is the perfect destitation to learn more about the largest land mammal there is, the elephant! The huge space has been designed to blend with the natural surroundings, but also provide a comfortable and luxurious experience. Set amidst the jungle and farms, the park is an amazing home for both humans and elephants alike. A huge mammoth skeleton is displayed in the park’s museum, which also hosts comprehensive information about elephants that one can learn from. 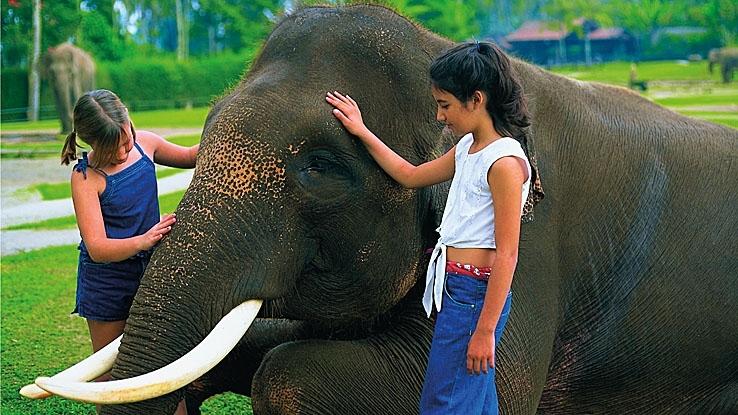 Inside the park itself, children can pet and feed the elephants and their calves. The Taro Elephant Park treats their elephants with great care, and guests can see this from how healthy the animals look. They also hold active breeding programs; Ganteng, Jegeg and Riski are the calves born in the park and have grown to be strong, healthy additions. One thing you cannot miss is the elephant talent show; you should check the schedule before going to make sure you’re there on time. Each of the elephants has their own different talent – some elephants are actually multitalented. From playing with hula-hoops, “shooting hoops” with the basketball, kicking a football, painting, playing and splashing water, the audience can’t help but admire the magnificence of these creatures. Take a break and savour their scrumptious buffet lunch at the park’s restaurant, sit and enjoy the park’s scenic landscape and watch as the elephants bathe in their pool. If your children want a more adventurous experience, get a ticket for elephant ride along the jungle track, an awesome add on to a fun-filled day!